Pop-up retail has become a focal point at the Toronto International Film Festival (TIFF), which is now one of the largest publicly attended film festivals in the world. Several innovative concepts have been launched for the event which continues until Sunday, September 17. Retail standouts include an impressive pop-up space created for cosmetics brand L’Oreal, sleep-brand Casper’s latest ‘nap tour’, and a unique IT House merchandise pop-up hosted by NKPR, in partnership with Canadian cloud-based POS service provider Lightspeed. 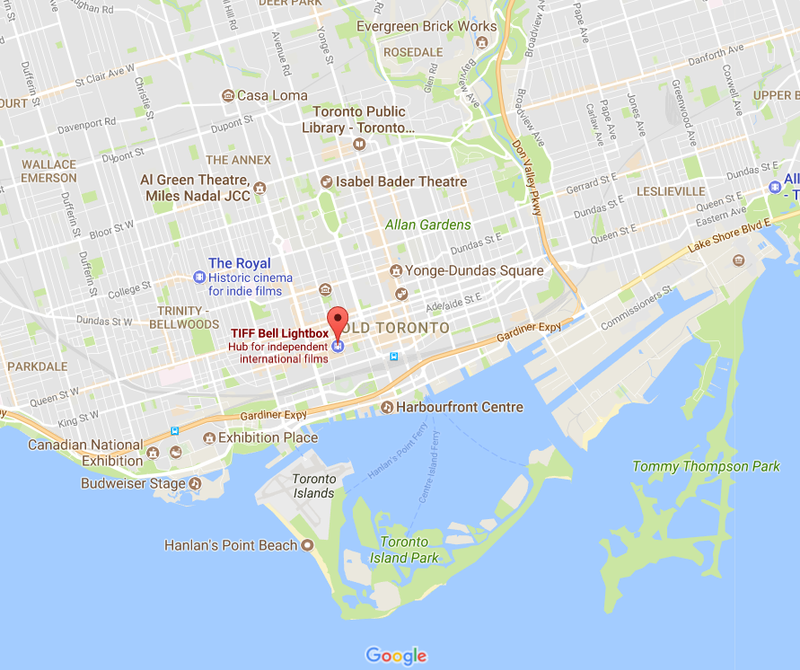 On Friday, September 8, we toured Toronto’s downtown Entertainment District to see what various brands had in store for TIFF. A unique standout was retail in shipping containers — a concept used at London’s popular Boxpark, which features shipping containers housing pop-ups for independent and global fashion lifestyle stores and cafes. Montreal-based Loki Box Design created innovative spaces for brands Bell and L’Oréal at TIFF this year. Mr. Roy explained the versatility of shipping containers, which can be modified to a variety of shapes and sizes for various different activations. For Bell at TIFF this year, Loki Box Design joined four 40-foot long shipping containers to create an interactive experience space, complete with a social area and virtual reality lounge along with other tech demonstrations. Exterior patio space, as well as an observation area above the Bell-branded containers, allows patrons to see what’s happening on the red carpet as stars pass by on busy David Pecaut Square. Across from Bell is another Loki Box Design installation: global cosmetics giant L’Oréal has a customized installation of three shipping containers and a glass box that includes a demonstration area and photo booth, as well as a separate two-level VIP component where patrons can view the red carpet with an unobstructed view, while maintaining privacy away from the general public. L’Oréal expects more than 10,000 beauty fans to pass through during the course of TIFF. The temporary nature of pop-ups build interest, and consumers are more likely to rush to something that they know won’t be there forever. Pop-up expert Linda Farha described how “at the end of the day, it is about building an experience for your target market that is true to your brand but extends beyond the normal boundaries of your business," going on to say, “TIFF is a great showcase of brands who are willing to think and work outside the box. These pop-ups have become important staples at the festival that continue to draw large crowds because of their temporary nature and ability to offer a new experience.” Ms. Farha is the Founder and Chief Connector pop-up go (spelled all lower-case), which is an online platform that helps pair retailers with available temporary retail spaces, which also features a curated pop-up match service that provides access to the ever-growing pipeline of pop-up seekers looking for space. 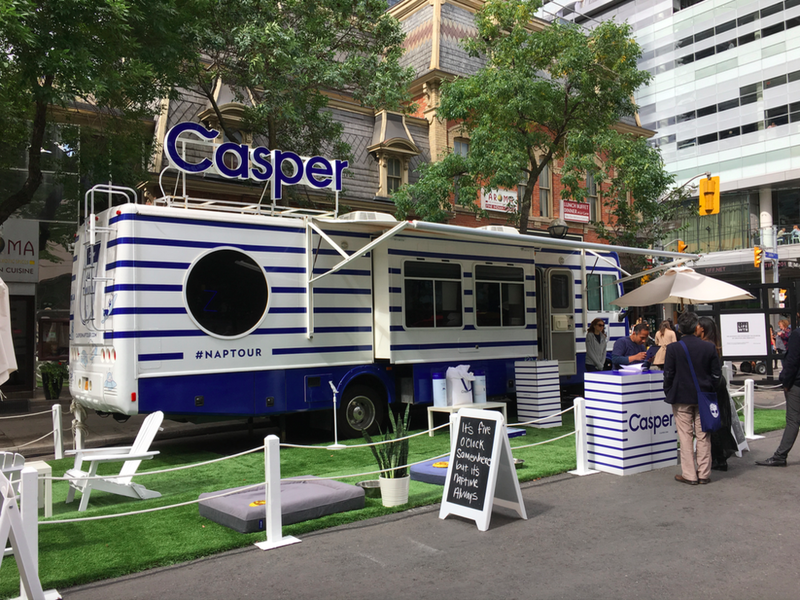 Sleep brand Casper brought its ‘Napmobile’ to TIFF this year, providing an interactive experience with the company’s mattresses and other sleep-related products. Casper began touring the country in the spring of 2016 with its ‘Canadian Nap Tour’. While initially available only online, Casper began selling its wares at West Elm in Toronto in March of 2017 — the first time the brand had ever offered its products within a retailer on a cash-and-carry basis. 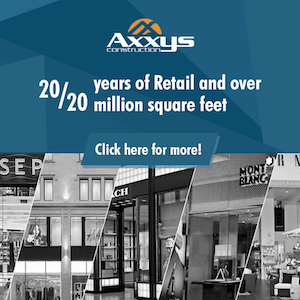 Payment processing can be a challenge for temporary retailers. Montreal-based cloud-based point-of-sale platform Lightspeed partnered with public relations firm NKPR to host a pop-up space at IT House x Producers Ball, which is a two-level lounge space and experiential hub at 128 Peter Street (we spied a few celebrities during our visit). Lightspeed’s MERCH activation was held from September 7-11, featuring IT House and Lightspeed-branded shirts, bags and candles, and NKPR’s Natasha Koifman’s fragrance TWENTYSIX (proceeds go to charity). Lightspeed’s Founder and CEO, Dax Dasilva, explained how Lightspeed partnered with NKPR to assist with this year's pop-up. “Lightspeed is created for the modern retailer and designed to meet the realities of day-to-day management for our customers. Our partnership with NKPR for the IT House x Producers Ball MERCH concept is a strong example of how our tools help entrepreneurs turn their big retail ideas into reality,” said Mr. Dasilva. In a demonstration, Lightspeed’s app allowed IT House to create a completely integrated omnichannel experience for NKPR’s commerce site, where inventory can be managed effectively and efficiency, and sales can be coordinated and tracked with ease. Lightspeed targets independent retailers and restaurants with its POS and ecommerce solutions. Lightspeed has been powering various pop-up initiatives across the country recently, including at Montreal’s fifth annual MURAL festival that was held earlier in the summer. 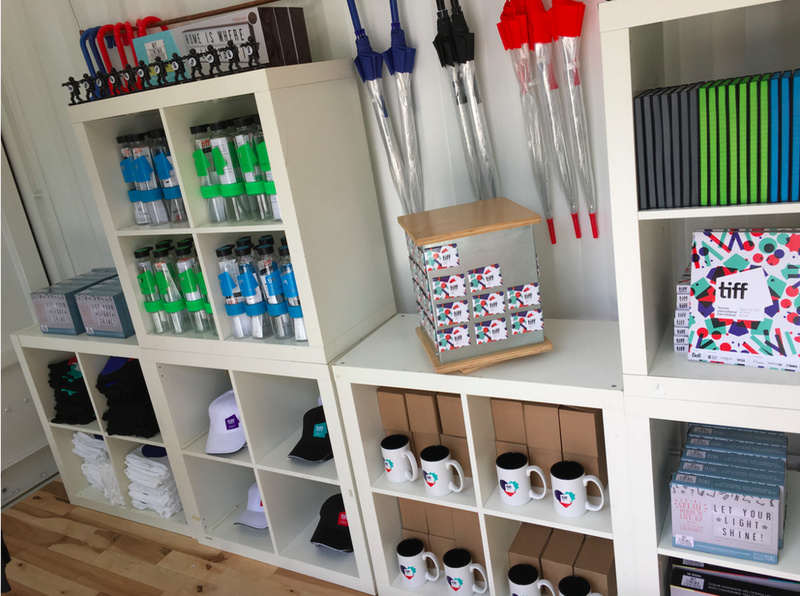 “Partnering with Lightspeed has evolved our retail capabilities this year and brought our creative vision to the next level with a POS solution that enables us to sell efficiently and with ease, so we can focus our efforts on what we do best,” said Natasha Koifman, President of NKPR. All merchandise that was sold at the IT House x Producers Ball MERCH shop benefited Artists for Peace and Justice (APJ), a philanthropic effort dedicated to supporting communities in Haiti through programs in education, healthcare, and dignity through the arts. There’s still time to check out TIFF this year in Toronto, which extends to Sunday, September 17. Check out the pop-up retailers and food vendors, and or more information on shows during the festival, visit: www.tiff.net.